High blood pressure (also known as 'hypertension') can lead to serious health problems such as a heart attack, a stroke, heart failure or kidney disease. There are often no symptoms or signs of high blood pressure - you can have high blood pressure and feel well. Therefore, it is important that you have regular blood pressure checks. 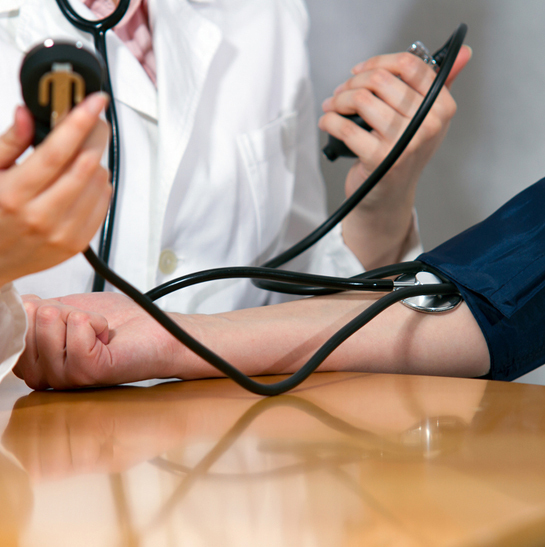 The only way to find out if your blood pressure is high is by having it checked regularly by a health professional. Blood pressure is usually measured by wrapping an inflatable pressure bag around the upper arm. Blood pressure is recorded as two numbers, for example 120 over 80 (120/80). The higher number indicates the pressure in the arteries as the heart squeezes blood out during each beat. It is called the systolic blood pressure. The lower number indicates the pressure as the heart relaxes before the next beat. It is called the diastolic blood pressure. Blood pressure is measured in millimetres of mercury (mmHg). Blood pressure varies throughout the day. It is always changing to meet your body’s needs. Normal blood pressure: generally less than 120/80 mmHg (i.e. systolic blood pressure less than 120 and diastolic blood pressure less than 80 mmHg). High blood pressure: 140/90 mmHg or higher. If your blood pressure is 180/110 mmHg or higher, you have very high blood pressure. If your blood pressure remains high, it can lead to serious problems such as a heart attack, a stroke, heart failure or kidney disease.